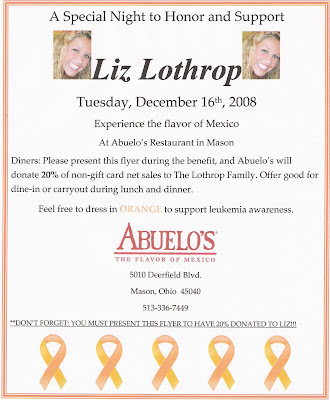 Liz Lothrop Update: Can you say, "Abuelo's"! Just double click on the flyer and then choose print to get a copy. I heard this was packed! I went right after school and was worried about the weather keeping people away. However, I had one student tell me she had to wait 1 hour and 45 minutes to get a table! Yea!